It may have been missed by many, but the Novus Drive by Hi-Tech Robotic Systemz made those who encountered it marvel at its miraculous technology. 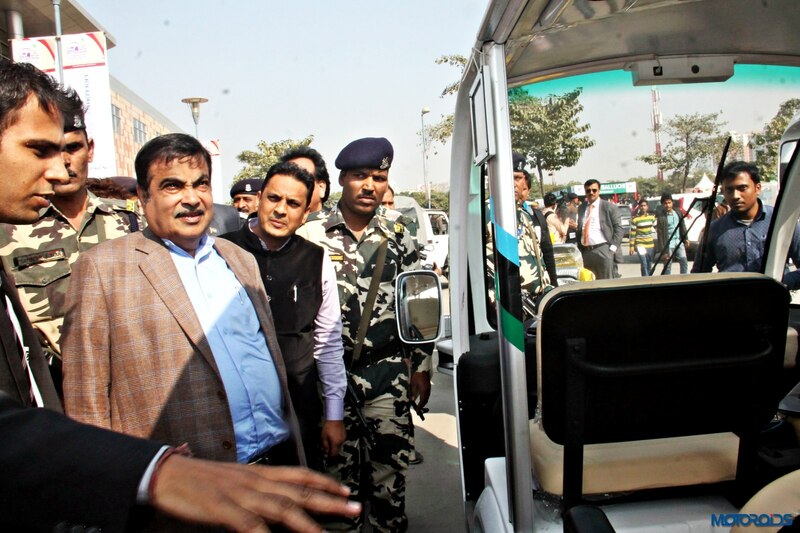 The driverless vehicle demonstrated at the 2016 Auto Expo is country’s first driverless shuttle. The home-grown 14 seater driverless shuttle was used for ferrying visitors from one pavilion to other. The Novus-Drive can autonomously navigate on its own with its high fidelity sensors and robust algorithms for path planning and navigation. The vehicle is indigenously manufactured at THRSL’s Gurgaon facility. It’s a complete made in India product with all its research and development having taken place in Gurgaon. The Novus Drive works on path planning and obstacle avoidance through machine driven algorithms. Novus Drive is Capable of sensing the surrounding, performing intelligent manoeuvres for autonomous navigation & passenger interaction for carrying passengers. The user can enter the destination over a tablet mounted on the vehicle. Once the destination is entered the vehicle starts its journey. The Driverless shuttle can be connected with a mobile app, with which it can be called whenever required. 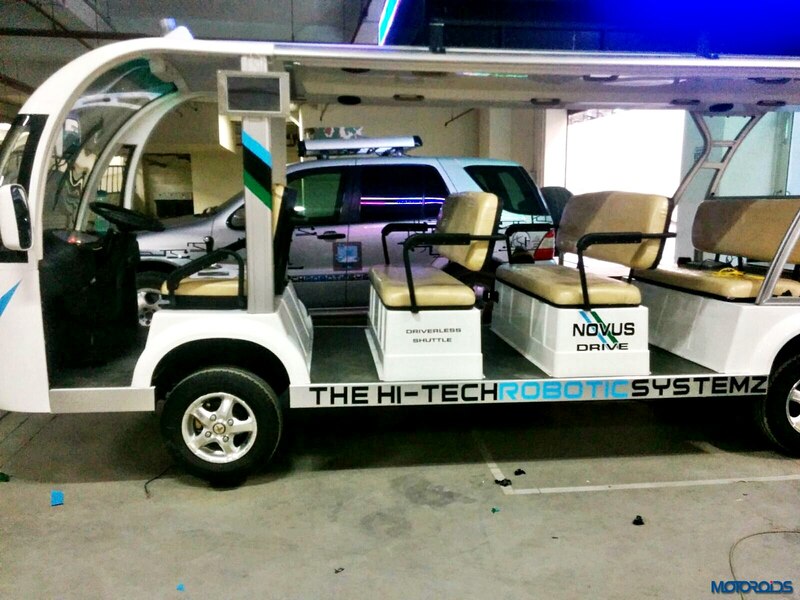 The Novus Drive has 3 dimensional LiDAR sensors along with stereo vision cameras and GPS INS. The 3D Lidar maps the entire environment and creates a 3D reconstruction of the environment to take decisions for autonomous navigation and path planning. The stereo camera vision also creates video feeds with in-depth information for making out the traversable and non-traversable path. It reaches the destination with ease, pausing and moving according to the direction and road congestion. 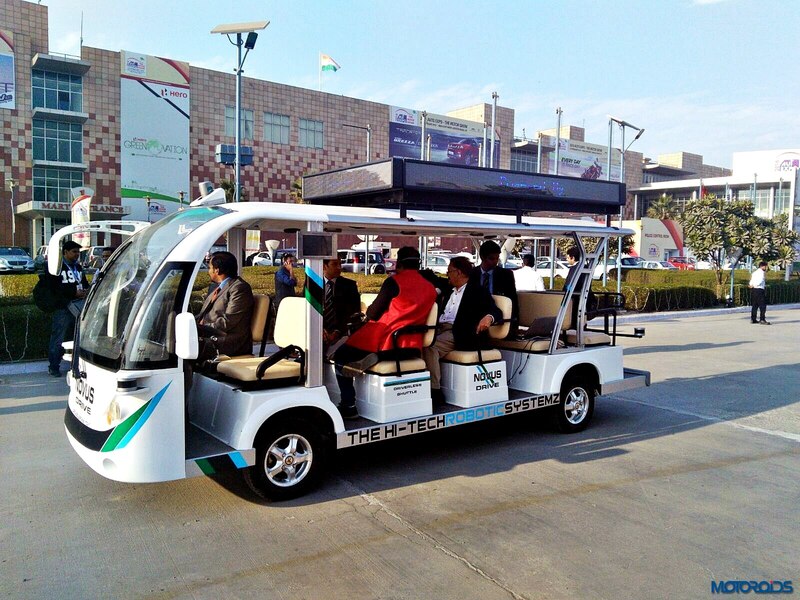 These vehicles have been manufactured mainly for commuting in controlled environment and are best suited for large campuses, elderly health care communities, trade fairs and theme parks along with the upcoming smart cities. The vehicle is a first of its kind manufactured in India.